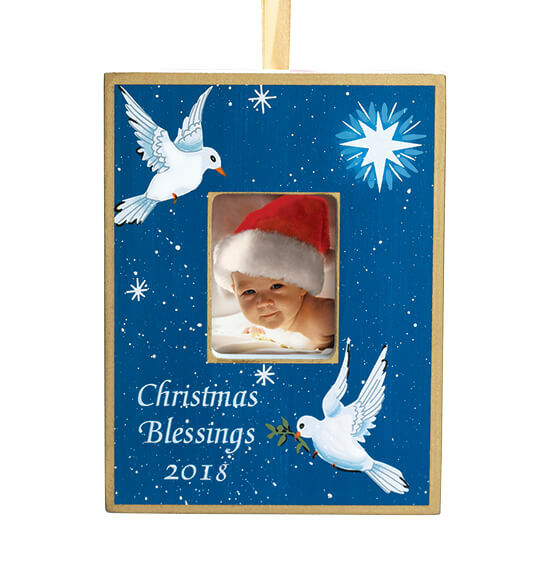 This personalized Dove ornament is designed exclusively for Exposures to complement our popular hand painted Christmas frames. A pair of doves sends a message of peace and Christmas blessings, especially when graced with a photo of your choice in the center. Personalize with up to 3 lines for an unforgettable gift, or leave blank for timeless sentiment. 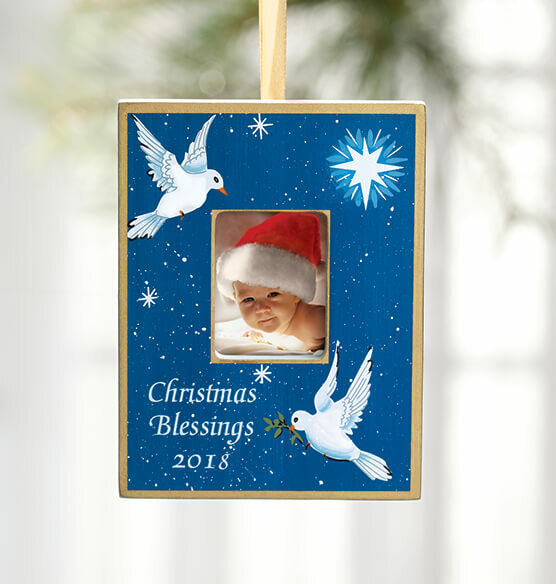 We love hanging special ornaments with photos to remind us Christmas' past.